John Flann describes the new version of his classic GWR OO layout, now in USA. 13ft x 2ft. David A. Blazejewski takes us on a trip along this Alaska RR industrial spur and describes an actual operational sequence. How a prototypical concept can lend itself to simple but satisfying layout ideas. Includes five layout designs. 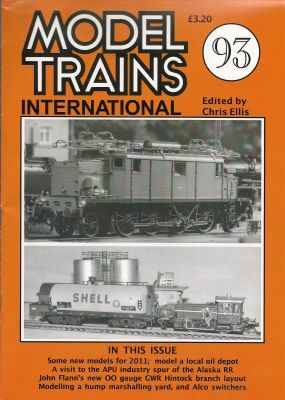 Classic old article by Edward Beal is still full of good information and value for today's modellers. The editor makes a compact lineside facility for a small OO/HO layout.